NBA All-Star 2019: Who dominates the top spot in the player rankings? The NBA All-Star Weekend features the best and the brightest in the world of basketball. Players from both the East and the West will come together to put on a three-day show for fans around the world. 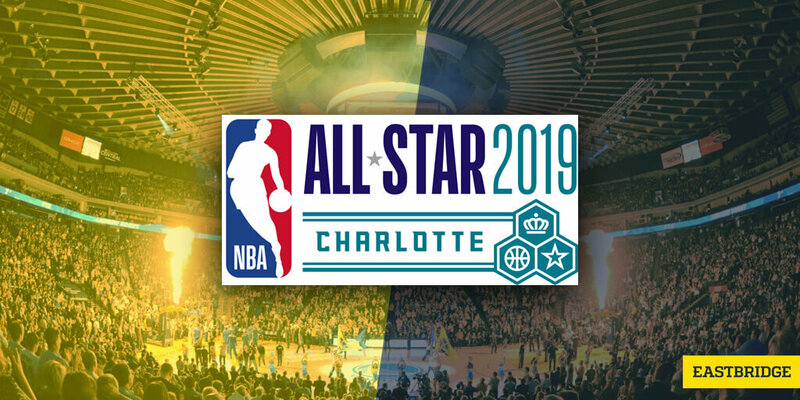 The 68th NBA All-Star Game is fast-approaching, and 24 All-Star players, with the addition of Dirk Nowitzki and Dwayne Wayde, will highlight a weekend jam-packed with exciting festivities. With this, Eastbridge went over the players who will be gearing up for a thrilling action over the weekend and rank them according to their All-Star records. James Harden has been on fire lately, averaging a league-high of 36.6 points per game with 7.7 assists and 6.7 rebounds so far this season. He can be seen scoring a series of at least 30 points in straight 30 games. Paul George has been terrific in terms of defense for OKC, but he’s also doing great in the offensive side either. He’s by far having his best season so far with 28.7 points and 4.1 assists as well as 8.0 rebounds. Curry is averaging 28.6 points per game with 5.2 assists and 5.1 rebounds. He’s also producing a career-high of 5.1 3-pointers per game. With an average of 28.6 points per game as wells as 7.6 assists and 8.6 rebounds, LeBron James is probably one of the greatest NBA players in this era. With an average of 28.1 points and 4.2 assists as well as 12.9 rebounds, there’s no question why Anthony Davis is the most sought-after player in the league. Kevin Durant is no doubt one of the best players in the league, averaging on 27.6 points per game with 5.9 assists and 7.0 rebounds as well as shooting 51.3% from the field. Joel Embiid has been making a couple of headlines or his performances with the Sixers lately. Team Giannis will definitely take advantage of Embiid’s record of 27.3 points and 13.5 rebounds. Giannis has become one of the best players in the league, helping the Bucks secure the top spot in the Eastern Standings and become the team to have the best league record. He definitely surpassed the expectations on him back when he first arrived in the league as a teenager, averaging on 27.2 points with 6.0 assists and 12.7 rebounds. Kawhi has been the main source of power for the Raptors this season, averaging on a career-best of 27.0 points per game with 3.3 assists and 7.7 rebounds, leading the Raptors to the second spot in the Easter Conference table. The Detroit Piston have the opportunity of proceeding into the playoffs, and Blake Griffin should be one of the players who could help them achieve that with his record of 26.3 points per game as well as his, 5.4 assists and 8.1 rebounds. Damian Lillard has been productive this season, averaging 26.3 points per game this season, which is also right around his average for the past three NBA campaigns. Despite the Wizards having a terrible season lately, Bradley Beal keeps the momentum going with 25.1 points to his name. With his career-high average of 24.9 points while also giving 5.7 assists per game, Kemba Walker has included the Charlotte Hornets in the postseason picture. Irving has contributed a lot of good numbers for the Celtics. For this season, he is currently averaging on 23.6 points per game. Towns has definitely improved especially now that the Jimmy Butler issue is finished. He is scoring an average of 23.1 points per game with 3.2 assists and 12 rebounds so far this season. Setting aside his slow start to the season, Klay Thompson has been having a remarkably impressive performance lately, averaging on 21.9 points per game with the Warriors. Russell Westbrook is currently running on an average of 21.7 points per game while providing 11.2 assists and rebounds each. Apart from this, he has had 10 consecutive triple-doubles so far this season. His stats aren’t really out of the ordinary but LaMarcus Aldridge has been a reliable scorer for the Spurs, scoring an average of 21.0 points with 2.6 assists and 9.0 rebounds per game. By far the best season of his career in the NBA league, Nikola Vucevic runs on an average of 20.5 points per game while providing 3.8 assists as well as 12.1 rebounds. With 20.4 points per game to his name as well as 10.6 rebounds and 7.7 assists, Nikola Jokic helped the Nuggets become the second best team in the Western Conference. The Brooklyn Nets have been great so far this season, and with D’Angelo Russell contributing 20.3 points, 5.5 assists, and 3.8 rebounds, they have him to thank for that. The Milwaukee Bucks are no doubt the best team in the East, or quite possible in the league. Apart from Giannis, they have Khris Middleton’s 17.1 points, 4.2 assists, and 5.8 rebounds to help them lead the Eastern Conference standings. Being the 2018 NBA Rookie of the Year, Ben Simmons doesn’t disappoint. Aside from having quite a good defense, he plays on an average of 16.8 points per game with 7.9 assists and 9.0 rebounds. With 14.3 points on 41.2 percent shooting, Kyle Lowry is one of the Raptor’s offensive machines and is definitely deserving of a spot in the All-Star. Are your NBA All-Star bets ready for this weekend? Make your betting more enjoyable when you create an account with our partner VOdds and have access the best online sports odds in the market!